Con Koulendianos started his real estate career in 1995 as a junior sales cadet. He learnt very quickly on how to endure a system that would make him one of the best sales person in the group. He has achieved the highest accolades in the real estate industry and takes his work very seriously. Being a local in the area for over 18 years, Con's knowledge of the Hills area is second to none. His professionalism of the Rouse Hill/Kellyville area set him apart from his competition. Con is a very likeable person and treats everyone that he meets with the utmost respect, as he knows that buy putting your greatest asset in his hands needs to be treated with respect and trustworthy. So why not pop in to our office at the Rouse Hill Town Centre and meet Con and his team for a friendly chat. Loren is a young, vibrant professional with an exceptional skill set that allows her to help drive Harcourts Rouse Hill to excel, and keep ahead of their competitors. Researching, reviewing and implementing change is vital in the next phase of Real Estate and is something that Loren demonstrates in her daily tasks. Technologically savvy, Loren ensures your marketing is at the forefront of the increasingly digital world of Real Estate operations. A strong believer in hard work and superior customer service, Loren’s high standards are demonstrated in her success and client relationships. Loren believes that the level of service we provide to our clients is a benchmark within the district and she is incredibly proud to be a part of that. Shad has been in the Real Estate industry for over 20 years now. Throughout the years Shad has received many accolades and awards, including consistently being in the top 5% of performers Australia wide in his franchise. Shad has great enthusiasm for the Rouse Hill area and he has excellent knowledge of his suburb and surrounding areas, also being a local resident himself. Shad has a passion for real estate and helping people achieve their goals, whether it being purchasing their dream home or selling their most valuable asset. Shad has the drive and ability to ensure the best possible result for you and your family. 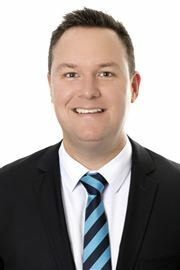 Shad takes great pride in his role as sales manager of Harcourts Rouse Hill/Kellyville ensuring that the office’s systems and procedures are in place 110%. Shad and his team attend regular training to ensure every customers experience with our team is rewarding and successful. Greg has been an estate agent specialising in The Hills for 5 years and has been a lifelong resident of the area. Greg thrives on attaining new listings and takes great pride in discovering new and exciting ways to market his client’s properties. Passionate about real estate, he chose Harcourts Rouse Hill/Kellyville because he believes the company's integrity and commitment to quality service closely align with his own values. Enthusiastic, committed and always open, Greg brings a vibrant energy to the demanding North West suburbs of Sydney. He has an in-depth understanding of the area and is a specialist in the warming, family friendly suburb of Beaumont Hills. Greg believes that a good sense of humour is crucial in real estate. His relaxed, yet direct manner and ability to break down barriers between people have earned him a reputation as an honest, no nonsense communicator and negotiator. Lachlan has always had a keen interest in the Real Estate industry. Completing his Higher School Certificate in 2017 at St Andrews College, Lachlan’s passion and enthusiasm drove him to jump straight in to working mode. Working in a part time job during his schooling years, his ambitious to learn and bringing a strong passion to the work place, Lachlan understands the importance of customer service and that building valuable client relationships is an integral part of any business. 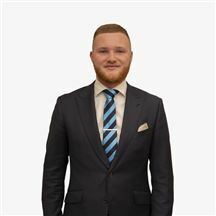 Lachlan’s positive approach, honest work ethic and self-motivation makes him a valuable asset and is excited to join one of the area’s most professional and finest real estate teams. 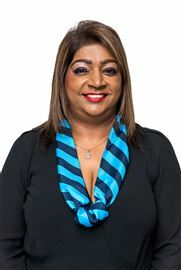 Welcoming to the award winning team at Harcourts Rouse Hill Kellyville is Shauna Nair. She is a self-driven Licensed Real Estate Agent who thrives on providing the highest quality of customer service and understands the importance of delivering great communication and results for her clients. With her extensive knowledge and background in sales, finance and being a local residence for many years, Shauna’s data base of clients continues to build and grow whilst maintaining positive and ongoing relations with many of her clients. Shauna takes great pride in her work with her persistence and follow up skills and her positive attitude being a stand out. Shauna’s caring nature comes from her Nursing background which she thoroughly enjoys and proudly participates and supports community and charity groups. Her integrity, honesty and trust is a high priority and is promised to all new and past clients. Introducing Sue Khamu as your local Property Manager. Using a practical approach and a high attention to detail, Sue delivers a high standard of work consistently. Going the extra mile comes naturally to Sue as she prides herself on her strong work ethic and honesty which ensures a continuous dedication and high quality of support to both our sales team and her clientele. Sue prides herself on high personal morals and a gracious caring attitude; Sue’s years of experience demonstrate she has the right qualities and self drive to provide the clients and customers of Harcourts with the best experience. Property owners can be assured that Sue will show them the same qualities when she is acting on their behalf to lease their investments, she is committed to her customers and is determined to offer the best service possible making it easy for you to enjoy your investment. Often Sought but Rarely Found! Registered & Ready to Build!